people affected by cancer and the general public. Established in 1966, we are a tax-exempt charity body registered under the laws of the Malaysian Societies Act and Registrar of Societies Malaysia. The Society was founded by the late Dato’ Dr S.K. Dharmalingam, the first oncologist in Malaysia and was launched by then Prime Minister of Malaysia, the late YAB Tun Abdul Razak. 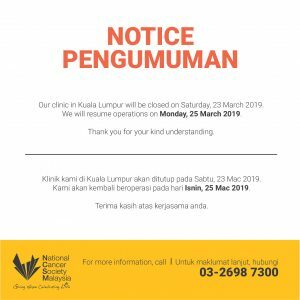 NCSM is now under the distinguished patronage of His Royal Highness Sultan Paduka Seri Sultan Perak Darul Ridzuan, Sultan Nazrin Muizzudin Shah. The Society is financed entirely by contributions and donations from the public. Being the only charitable organisation that provides a holistic cancer–related services to cancer patients, caregivers and the public, we support them through our five centres – Cancer and Health Screening Clinic, Nuclear Medicine Centre, Resource and Wellness Centre, Quit Smoking Clinic and the Children’s Home of Hope. We also have six branches nationwide in Kuala Lumpur, Negeri Sembilan, Perak, Penang, Johor, Sarawak and Melaka. 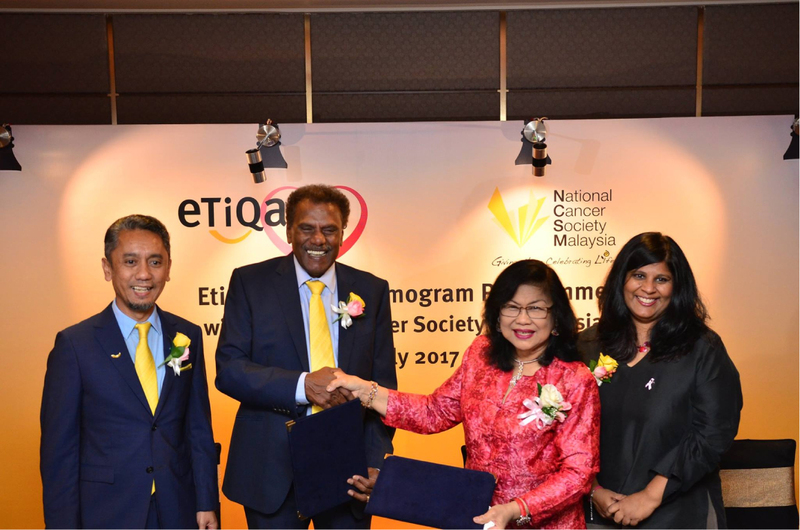 To ensure that no Malaysian fears cancer by creating an understanding of cancer that leads to prevention and early detection, and by providing the best possible care and support for those affected by cancer. Living in a world without cancer. We work with corporate partners, colleges, universities, schools and civil societies on awareness and outreach programmes in its efforts to educate the public on the prevention and early detection of cancer.